It's hard to justify making something new or going out for dinner when you are swimming in leftovers. 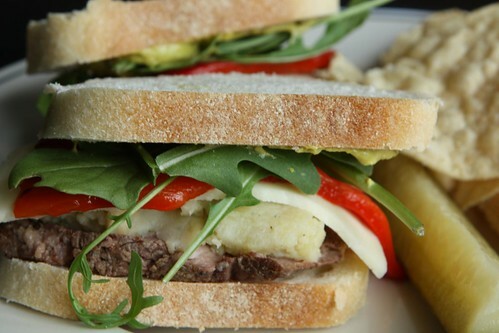 So it was that I made this sandwich for lunch out of leftover beef tenderloin and mashed potatoes from Valentine's Day, provolone from the super bowl, roasted red peppers from the pineapple salsa the other night, leftover baguette, and tarragon mustard. 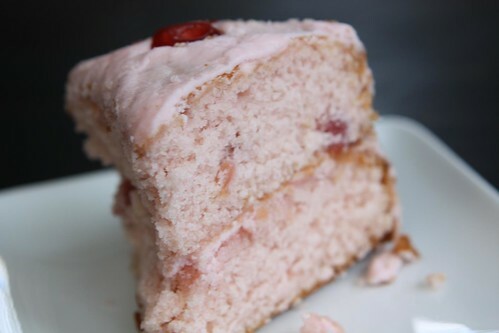 Later on I settled down with some tea and the remainder of a maraschino cherry cake Jen had made last week. I expected it to be stale after all that time but it was actually delightful. 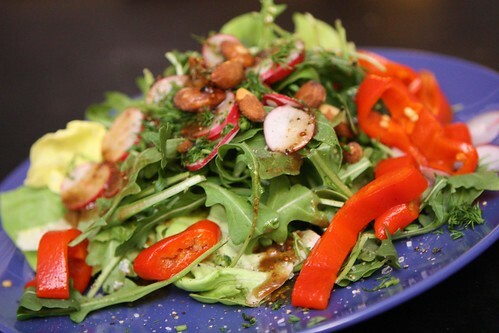 After Jen returned home from work I took advantage of our remaining butter lettuce from Valentine's Day, arugula, roasted almonds, radish, roasted red pepper, and some more of Jen's homemade vinaigrette with fresh dill. 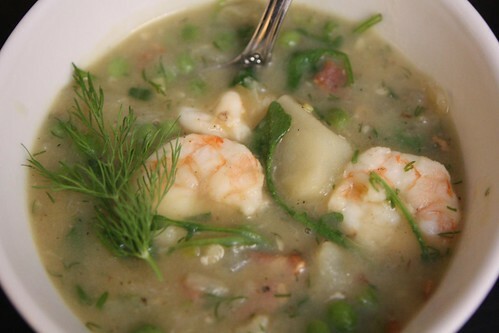 Next I made this shrimp and potato stew. First I rendered two strips of bacon in a pan then added some crushed garlic, chopped onion, and Russett potato. I cooked these down then added some of the leftover seafood broth, continued to cook it down, and finished it by tossing in some shrimp, leftover peas from Valeninte's Day, arugula, and fresh dill. Finally I thickened it with a small amount of roux and served it with some sliced baguette. For dessert I tried to dress up some of the leftover cheesecake from Valentine's Day. This may have been the best tasting cheesecake I've ever made but what it had in flavor it lacked in structural integrity. Unfortunately it was nearly impossible to get it to look at all as intended. 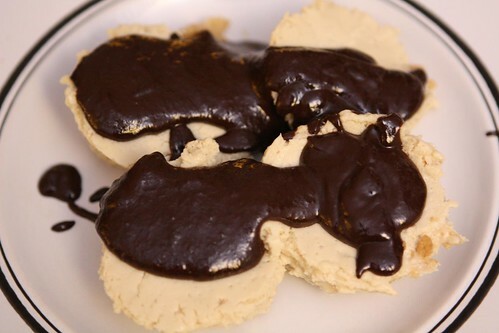 Chocolate sauce, I find, is a good way to try to mask poor dessert appearance. 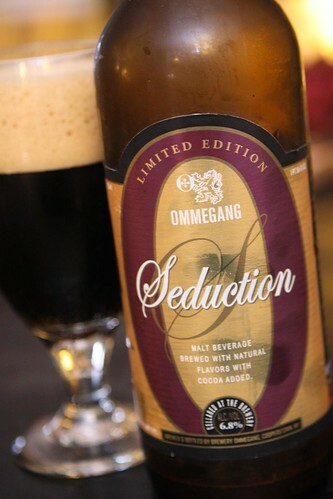 And, finally, it was time to settle down with the remaining Ommegang Seduction porter. As it was the end of the bottle this meant I got a good amount of the sediment but I was happy with how well my champagne stopper preserved the beer over the past few days as I settled in for a relaxing evening. Prison life, it turns out, isn't all that bad. Amazing what you can do with leftovers! So creative!